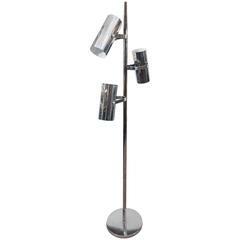 An unusual floor lamp with pivoting shades by Laurel. Brass with teak handles and a sleek midcentury style, circa 1960s. 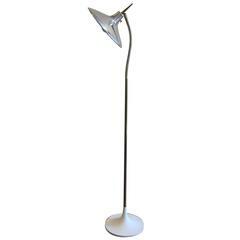 An unusual aluminium and wood floor lamp with articulated, swing out arm and original vintage 1950s shade. Well preserved survivor. 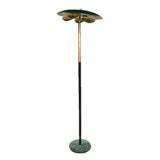 A stylish floorlamp with green marble base and atomic style brass shades by Stilnovo. 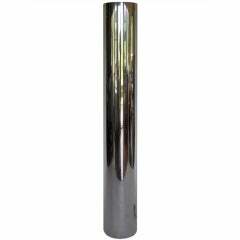 An interesting floor lamp, in the shape of a cylinder, thick gage highly polished aluminum. 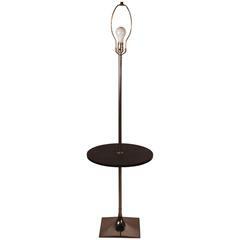 Laurel floor lamp with a lacquered metal frame and an open glass globe shade. 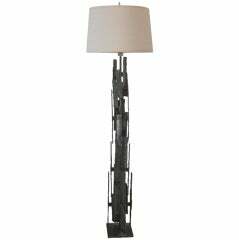 Laurel floor lamp in black with brass gooseneck allows for multiple positions that the shade can be directed. Outstanding Brutalist floor lamp after Laurel.